Surround toes with soft foam to relieve discomfort from corns, ingrown nails, blisters and other problems. Hand-sewn nylon cover for durability and comfort. 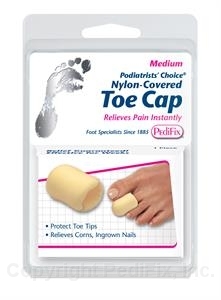 Extra toe-tip padding. 1 per pack.